So, you've decided on the location of your garden, you know north from south and you know where the shade is during the day, let's get some plants in the ground. Climate plays a major role in what you can plant. I'm sure you've read on my blog and at the forum about various gardeners envious about what others can grow. That is just something you have to get used to. Your climate will dictate what you grow and when you grow it. It doesn't matter how much you want to grow something, if your climate isn't right for it, forget it. We live in a mild sub-tropical climate here and we can grow food all year if we want to. But I long to grow apples, walnuts and apricots and they need a colder climate. I just have to accept that I can't grow them and get on with it. I concentrate on what I can grow and I buy apples, walnuts and apricots. If you have a look in my right side bar, you'll find planting guides for Australia, the UK and the USA. Let them guide you, don't plant out of season unless you've created a great microclimate that you know will work out of season. If you're working with virgin soil it makes sense to know the pH of the soil. This just means finding out if your soil is acidic or alkaline. Most vegetables like a slightly acidic soil between 6 and 7, or slightly higher. We live near a pine forest and that makes our oil more acidic than most but it hasn't been a problem here and it's great for growing blueberries. Don't get too caught up on soil pH. Buy a testing kit if you want to but if you're adding compost and organic matter, the problem will slowly fix itself. Testing pH without a kit. If you do test, don't bother amending your soil unless it's highly acidic or highly alkaline because as you add compost over the weeks, it will begin to amend the soil. 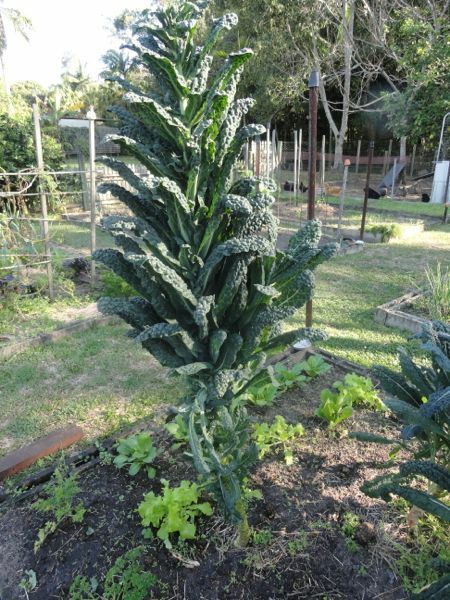 We grew this black kale two years ago and the plant was taller than me. There's often a lot of talk about soil types because soil can be sandy, loam or clay or you might have pockets of all of them. No matter what soil type you have, all of them will be improved by adding organic matter. Organic matter is simply decomposed kitchen scraps, straw, shredded newspaper, in fact any vegetable matter that was once alive. Compost is organic matter and if you're going to get serious about backyard food production, you'll need to make compost. 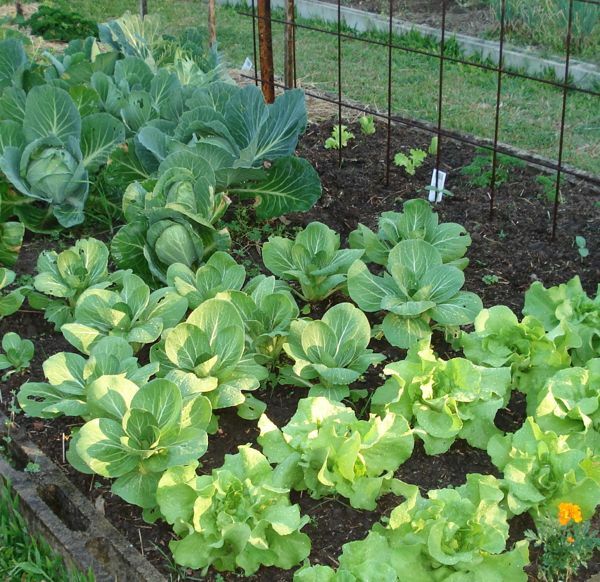 Not only is it a great soil conditioner and gentle fertiliser, it's the best way to help you to deal with your kitchen scraps and retain moisture in the soil. Here is a post about making compost. Start your compost heap straight away because it will take a while for it to mature and be useable. You can edge your garden with anything like bricks, pavers, blocks, sleepers, logs or whatever you have on hand that will do the job. Place your edging around the area that will become your garden and remove all the weeds. If the ground is very dry, it might be a good idea to water the garden well the day before you do your weeding. If you have a lot of compost or organic matter, spread it over the surface of the garden. If you have any old horse, cow, sheep, goat or chicken manure, spread that over the garden too. If you have no manure, buy some if you can because it will make a big difference to your garden. If you have garden lime, a handful per square metre is a good addition to most acidic soils. When the garden has been dug and the compost and manures added, dig the garden over. Then water it in and spread out some straw, hay or sugar cane mulch. Leave it to settle for about a week. Don't let the it dry out too much, if your soil needs it, water it again during that week. When the soil has settled, plan where you will plant your seedlings and seeds, pull back the mulch while you plant and then replace the mulch to protect your soil and the plants. If you sow seeds, pull the mulch back and leave it to one side until the seedlings have emerged. When they're growing well, replace the mulch. The above paragraph is what you should do if you have a lot of organic matter and compost. Most of you won't have that, so do this instead. Place your edging as above, or just dig the spade in to cut an edge on the garden - you don't want any grass growing into your garden. You will need some organic matter so if you don't have any, buy a bag of compost from the garden shop. Work out where your seedlings will be planted and, with a trowel, dig a small planting hole for each plant bigger than it needs to be. Place a couple of trowels full of compost into each hole, plant your seedling or seed, and cover with compost. Get a stick for each planting space and mark where you've planted. Water the plant in and cover the entire garden surface with mulch. Water it again. Tomatoes receive different treatment and I've written about that here: Growing tomatoes. If you want to maximise your harvests and continuously pick from your garden, you'll have to master your version of succession gardening. This means you plant your chosen vegetables and before they're ready to harvest, you've already got a followup in the ground or ready to plant. On every seed packet, and online, there will be information about how long that seed will take to grow to maturity, use that to work out how frequently you need to sow seeds ready for the followup planting. For instance, radishes are one of the fastest growing vegetables. Sow a couple of lines of radishes and if everything goes well, you'll be eating them in about 4 or 5 weeks. Before that five weeks is up, you need to followup the first planting with another row, possibly three weeks after the first planting and two weeks before you harvest your first radishes. You'll have to work out a schedule for all your plants so you have those follow ups ready, or buy the seedlings when you're ready to get them in the soil. When we plant tomatoes here, we plant one crop and sow seeds for the next crop a few days after the planting. That gives us plenty of time to get our next tomato seedlings ready to plant out. When the first crop starts producing tomatoes, you can plant out your second seedlings so that when the first plants are finished, the second planting are just starting to produce. The details of these plantings will be different in each area depending on how warm your climate is. BTW, it's a general rule that you plant root vegetable seeds in the garden bed and plants that will grow above the ground can be planted as seedlings. If you grow root vegies as seedlings, what usually happens is when you transplant them, you twist the root by not having the hole deep enough, and it will grow as a twisted root. It doesn't effect the flavour, it just looks a bit odd. Try to find a gardening book or blog about a garden in a climate similar to yours. Read all you can about gardening. Build up your skills and your knowledge. Talk to other gardeners. Gardeners are a very generous lot, they'll share what they can with you. Never let your seedlings dry out. When first planted in the garden, they may need watering every day. If you're planting seeds, don't let them dry out and don't add fertiliser until the first leaves appear. Seeds contain everything they need within the seed to grow to first leaf stage, then you can help it along. When choosing seedlings, buy short stocky plants, not tall and straggly. 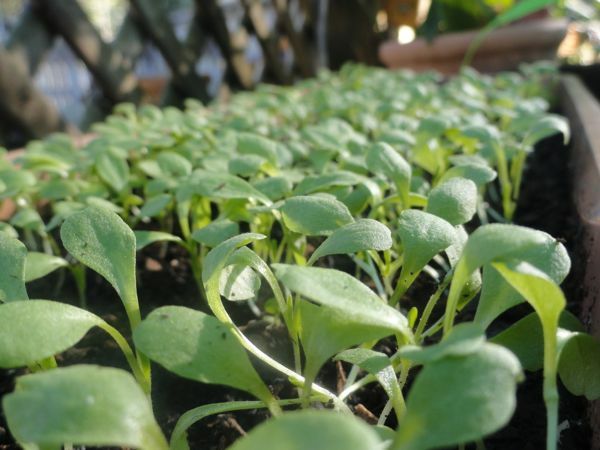 Plant your seedlings as soon as you can. Some seeds benefit from being soaked for 24 hours before planting. Parsley, carrots, beans, peas, corn, beetroot can all be soaked. Don't leave them in the water longer than 24 hours. When you plant beans or peas, plant them into moist soil and don't water again until you can see they are healthy and established - about a week. These plants hate being over watered and will die if they get too much water. Position plants with similar water and fertilising requirements close to each other. If you can afford it, buy a bottle of seaweed concentrate and water the seedlings in with that mixed up according to the instructions. It will help them establish faster and lessen transplant shock. When applying the mulch, make sure it doesn't touch the stems of the plants. Move it back a little with your hands. The exception to this is tomatoes. If you have mulch touching the stems and keep it moist, tomato roots will grow into the mulch and you'll increase your yield of tomatoes. After a couple of days, apply a weak (half strength) organic liquid fertiliser to the seedlings. Apply half-strength but twice as often as suggested in the instructions. You can make all your own fertilisers and save money in the process. My home made fertiliser posts are here and africanaussie has just done a post about no smell comfrey fertiliser here. If you're planting fruiting plants such as tomatoes, beans, capsicums etc, add a small amount of sulphate of potash to the planting hole. It will help them produce more flowers, and therefore more fruit. Don't over-fertilise fruiting plants with nitrogen. They will grow a lot of leaves and no fruit. If it's still cold when you plant, you may need to protect the seedlings with cloches - old soft drink bottles. Just cut the pouring end off the bottle and use the base as a mini-glass house. Don't leave it on in hot weather. The sun will burn the plants. If you have children or pets, fence off the garden. Be careful when you plant your seedlings. They're very delicate and can be easily damaged. Bugs will be attracted to weak and damaged plants so make sure yours are looked after. Ask your gardening neighbours what bugs are in your area and what they do to deter or kill them. Only use organic methods. Two organic insecticides you can use sparingly are Dipel (Bacillus thuringiensis) for caterpillars and pyrethrin for most other bugs. Dipel is applied to the plant leaves and the bugs die after eating the leaf. Pyrethin has to make contact with the bug and is generally sprayed on. Both are available at most plant centres. Record what you do in the garden. This is a great way to learn about gardening. I hope this gets you on the road to growing your own food. This is a vital skill and something you can pass on to your children. Don't be put off by not knowing much when you start. We all start somewhere and I am still learning after many decades as a gardener. No one knows it all. I hope I've remembered everything to help you get going. I just wrote this out as I remembered it. If you have any questions, go to the forum and ask there. I'll be over during the day and if I'm not there, I know the other gardeners will be willing to help you. Happy gardening everyone! Morning Rhonda, great post, even for someone like me who has been growing veggies successfully for a while. There's always something to learn or to be reminded of. What do you have planted in the A frame trellis in photo 3? Morning Nanette, we grew a very large beefsteak tomato that needed extra support. Isn't this rain wonderful? 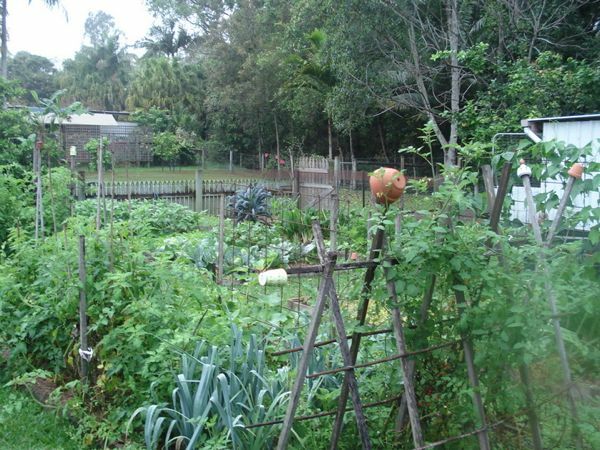 I can hear it on the roof and filling up the water tanks,the vegie garden has grown overnight and the frogs were roaring in the dam! Mind you, we didn't lose power up here, but we were all prepared anyway. Morning Melindi, yes, the rain is wonderful. We had a downpour yesterday afternoon that filled the front tank in 30 minutes. I haven't checked the other two tanks yet but I think our smaller one will be close to full. Enjoy the frogs calling. Fantastic advice. We're currently struggling against a new 'state significant' development that will see us lose 100% of sunlight to our backyard, so there goes the veggie garden *cry*. I'm planning on putting window boxes on the front of the house but this will not come anywhere near to replacing the back garden (we're in a conservation area terrace so we're very limited in what we can do). 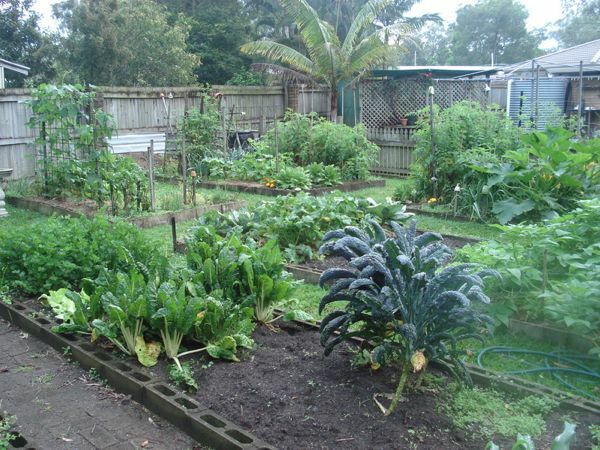 At least we still have the wonderful community garden and one day perhaps we'll have a little country estate in which to grow a beautiful garden like yours Rhonda! Oh no! how disappointing to lose your garden. Pity you can't protest about shade pollution. I hope your community garden is close by. It sounds like you live in the inner city in ?Sydney. I lived in Balmain for many years so I can imagine what you're talking about. Yes I've already shed many a tear (and will shed a few more when I have to pull out the lemon tree) but I'm trying to focus on what can be done. I visited the Botanic Gardens on the weekend and am thinking about all the beautiful ferns and bromeliads I will be able to grow. The biggest problem will be how I will dry all our washing (including nappies) without sunlight! I really enjoy your blog. I read it all the time. I also was reading Mooberry Farm Homesteading Journal, but for some reason I can't read it any more. Every time I try to go there I get some sort of survey from WalMart. Is anyone else having this trouble? what a wonderful, comprehensive post - I think you covered all bases. 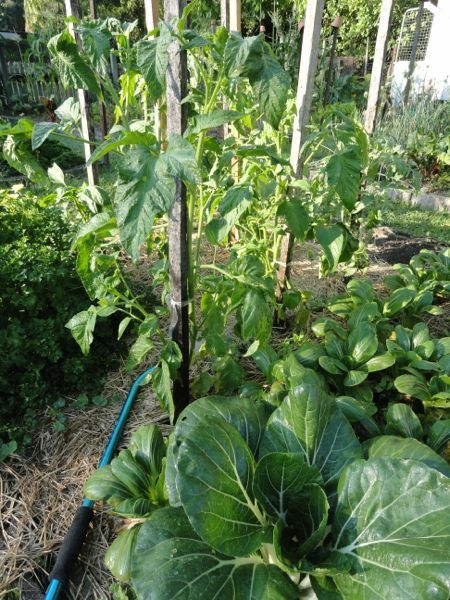 I can see a spurt of new veggie gardens starting up after reading all about it here! thanks for linking to my comfrey fertilizer post. A wonderful introduction! I agree that local knowledge is invaluable, but I've found Sydney-centric information very hard to come by. I've been trying to share my knowledge for that very reason. I need some of the elderly Italian vegetable gardeners in Sydney to start blogging too - they would be a wealth of knowledge! Hi Rhonda we planted our first fruit trees 4years ago now we get big lovely plums but we also get a black skinny worm like thing no longer than a 10 cent piece that eats the leaves 2 years ago we went bunnings and they sold us a spray it got rid of the small black worm thing but poisoned the fruit for a season so we have put nothing on them last year and we got great fruit but the bug came back and ate all the leave and put great stress on the tree now they have just blossomed again so I was wondering the two sprays you mentioned on you blog could we give them a go . Linda, I've never grown plums so my thoughts may be as useless as what you got from Bunnings but the pyrethrin would work as long as you made contact with every worm. That sounds like quite a task to me. Where are the worms coming from? If you think they're crawling up the trunk of the tree, maybe a barrier around the trunk would work. If you have a nursery nearby, go and ask someone there and take a specimen with you. I doubt Bunnings have any horticulturists working in their stores. I think you'll get better advice from a nursery man or woman. That kale is amazing :) Now I have something to aim for! These two posts have been awesome to read! Particularly as my husband and I are about to replant our garden after harvesting this week. Since he was made redundant a few weeks ago, we have been making sure we utilise our garden. Mind you, it is just foam boxes from the fruit shop filled with soil. So far we have silverbeet, lettuce, 8kg of tomatoes, passionfruit, strawberries, nasturtiums for salads, variety of herbs, zucchini, spinach and kale. We are in a rental that doesn't have a single tree on the property, let alone a garden! However, our 20 or so boxes allows us to cut costs on produce in this tough time. 7 weeks and I graduate from university, but will forever be a lifelong learner in how to provide and care for my family! Love this post Rhonda! I love the section on succession planting. I plan on succession planting when I move into my new home next week - I already have the seedlings ready to go in. I bought a small greenhouse to grow seedlings in too. I can't wait to get the garden going! Dayamitra, every time I read about your soon to be garden, I smile. Good luck with your move. If you can, please send me a photo of the garden when you're setting it up. What a lovely, healthy looking vegetable garden. At the moment I just have my herbs on our balcony in the rented flat we've been in for the past year. I do miss having a gardento sit or potter in. We are looking for a house with enough growing space and room for chickens and this is such a great reminder of what we need to focus on, rather than sea views! We'll never be able to afford as much space as you've got but we'll have enough for us. And enough is all you need, Leah. Good luck with your search dear. Love, love, love this post Rhonda! I think I will start writing in reminders on my desk calendar to help with the succession planting. Thank you for your great advice. This is really getting me inspired. The owner was a woodcutter and while we dug out of the decaying pile all of the burnable solid wood this winter, what is left is soil, dark rich composted material. I need to check the PH as it's ALL rotted wood and nothing else, but it's so rich and lovely. Very inviting pile. Like walking in a forest. A great post all around! Thanks, Rhonda! 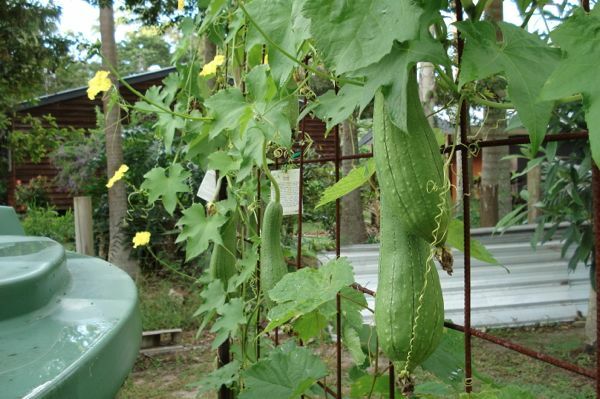 And I love the pictures of other people's vegetable gardens very much. I'll have to start a new garden next spring (European spring, april), and I'm trying to soak up all the information I can so as not to repeat the countless mistakes I made in my previous garden. I always say, "you learn something new everyday". I never knew about the mulch and the tomatoes! Can't wait to try that one out next year. Enjoying your blog so much, thank you. Great advice for first time gardeners such as myself. Great advice for someone wanting to grow their own vege garden! Having European grandparents, my family and I have always wanted to grow our own vegetables and never known where to start. 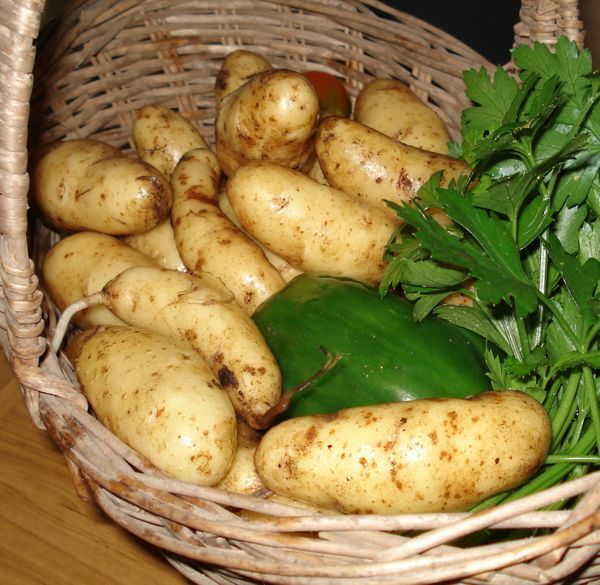 There is something special about eating your own home grown vegetables, and in my opinion, they always taste better. This has been an excellent help in giving a kickstart to hopefully growing and maintaining a successful and delicious vegetable garden! Thank you Rhonda, I really enjoyed your post - it was very comprehensive. I now feel armed (and no longer have any excuse! ), and hope to get started on my very own veggie garden soon! The thought of cooking with vegetables that I have grown myself seems really wholesome and I think will give my cooking better nutritional value. This was so informative, really enjoyed the steps you displayed, this was emphasised by the use of photographs. They were very simple and made it easy for someone like myself who really knows nothing about gardening. Linda, after being there for a few years I removed them. If you Google planting guides for your country, you'll find a lot of them.